A man was seriously injured following a collision involving a lorry and tractor just outside Limavady on Wednesday, October 21. The Ringsend Road in Limavady was closed for a number of hours following the two vehicle collision. 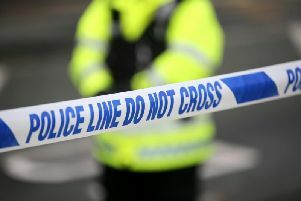 A spokesperson for the Police Service of Northern Ireland (PSNI) said one man was taken to hospital for treatment for his injuries that were described as serious. The accident occurred on the Ringsend Road just east of Limavady in the direction of Ringsend and Aghadowey. Diversions had to be put in place between Broad Road and Terrydoo Road for a time on Wednesday with motorists forced to seek alternative routes. The road reopened at around 6pm on Wednesday.